It’s Patch Tuesday and Microsoft is pushing out a new Cumulative Update to Windows 10 users, taking the OS to build 17763.316. Microsoft Jet database with the Microsoft Access 97 file format from opening. This issue occurs if the database has a column names greater than 32 characters. The database fails to open with the error, "Unrecognized Database Format". Windows NT for Windows Vista Server for Windows Vista, Windows Server 2008 The error is, "That option is temporarily unavailable. For now, please use a different method to sign in ". If Active Directory (AD) activity tracing is enabled, a Local Security Authority Subsystem Service (LSASS) exception may occur in the Windows 2019 DC when processing to user’s sign in. An issue in Microsoft HoloLens that allows users to bypass the lock screen process in some work flows. Security updates to Microsoft Scripting Engine, Microsoft Edge, Windows Server, the Microsoft JET Database Engine, Internet Explorer, Windows Wireless Networking, Windows Storage and Filesystems, Windows Input and Composition, Windows Graphics, and Windows App Platforms and Frameworks. 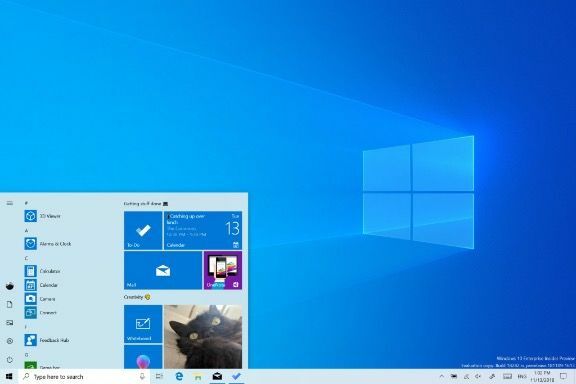 Windows 10 users can download the update in Settings.